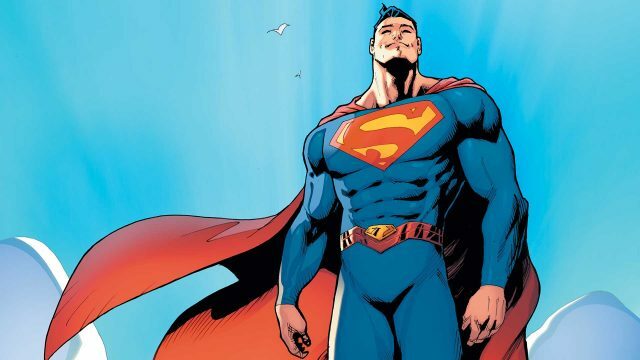 Although the “Black Dawn” story arc currently unfolding in the pages of Superman may not be as strong as previous offerings, we can probably all agree that it’s still a decent read and that the creative team of Peter J. Tomasi, Pat Gleason and Doug Mahnke haven’t really steered us wrong since taking the wheel at the start of Rebirth. If you’ve been keeping up with the title, you’re well aware that the Kent family’s neighbor who looks an awful lot like Wilford Brimley isn’t exactly what he seems to be and has so far succeeded in getting the drop on Batman and Superman alike. And from what we can tell, a mysterious force is pulling the strings of both him and the townsfolk. Normally in cases such as this, publishers tend to release placeholder art or the actual cover itself, albeit with certain details blacked out. In stark contrast to that, DC blew the lid off the mystery by posting Ryan Sook’s cover (seen below) on their official website with the original solicit still intact. 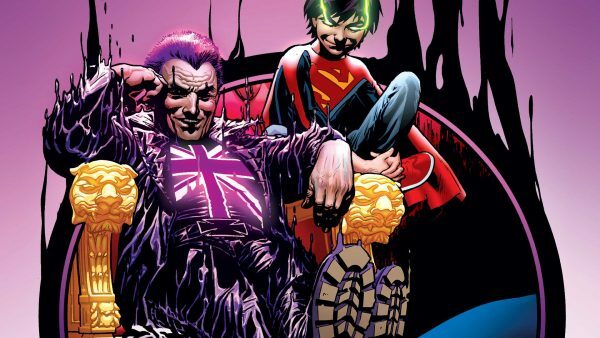 Therefore, we are forced to conclude that the man behind the curtain is none other than Manchester Black. Putting two and two together, it does make sense that he be the villain in a tale dubbed “Black Dawn,” compounded with the fact that Mahnke himself co-created the character with Joe Kelly for Action Comics #775, which has since been adapted to an animated film, Superman vs. The Elite, something we highly recommend checking out if you’re looking for a primer. Superman #25 arrives in comic shops on June 21.